Action Lock is a well established and professional locksmith in Malaga, servicing the area with 25 years of expert residential, commercial, and automotive locksmith experience. Call us today on 08 9240 7200. Based in Balcatta and providing professional locksmith services across the Perth metropolitan area, Action Lock Service offers reliable commercial, residential and automotive locksmith services to all customers in Malaga and the northern suburbs. 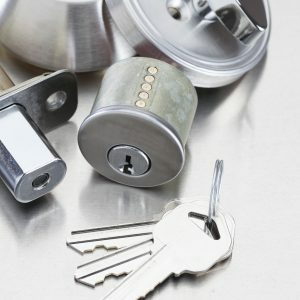 We have been serving the needs of local home and business owners since 1991 and have established a reputation as a leading service provider that offers a complete range of locksmith services. Whether you’re locked out of your home or car, your workplace has recently been broken into or you’ve decided it’s time to upgrade your home security, we welcome the opportunity to provide you with informed industry advice that empowers you to make the right decisions. And with four mobile vans and a professional team of dedicated locksmiths, you can rely on us to arrive quickly at your location any time of the day or night, even on weekends. At Action Lock Service, we take your home security as seriously as you do. While crime rates are below average in Malaga, there is always the threat of crime close to every home, which is why you must ensure that all doors and windows are secured, especially when you’re away. Our experienced residential locksmiths can provide you with a routine inspection of your home to check your windows and doors and rekey or replace locks where required using high-quality products. Rekeying services – safes, filing cabinets, front and rear doors, internal doors, etc. They’re just a few of the many professional locksmith services we’re able to provide for business organisations in Malaga and the surrounding suburbs of Perth, as we offer a complete locksmith service that ensures the needs of all businesses are met. Whatever your locksmithing requirements, you’re sure to find our rates are highly competitive and the service you receive second to none. Vehicle access – Keys locked inside or lost, transponder key damaged or malfunctioning, etc. Whatever your locksmith needs, we have them covered at an honest and fair price. For a complete range of commercial, residential and automotive locksmith services in Malaga, call 08 9240 7200.